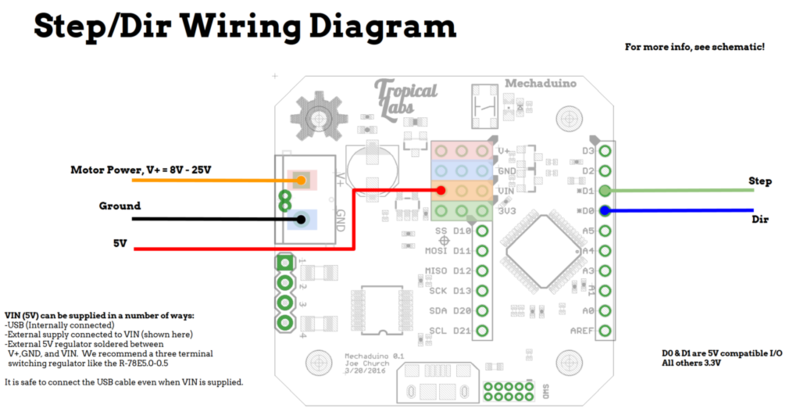 Check out the Mechaduino Manual! 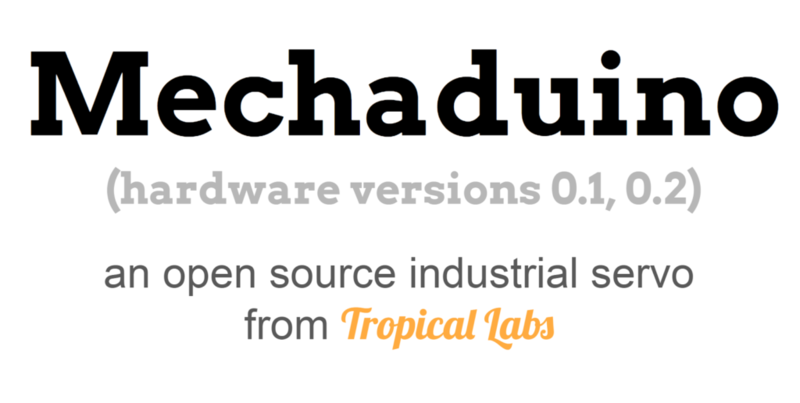 Mechaduino is an affordable open-source servo motor for DIY and professional mechatronics under development at Tropical Labs. 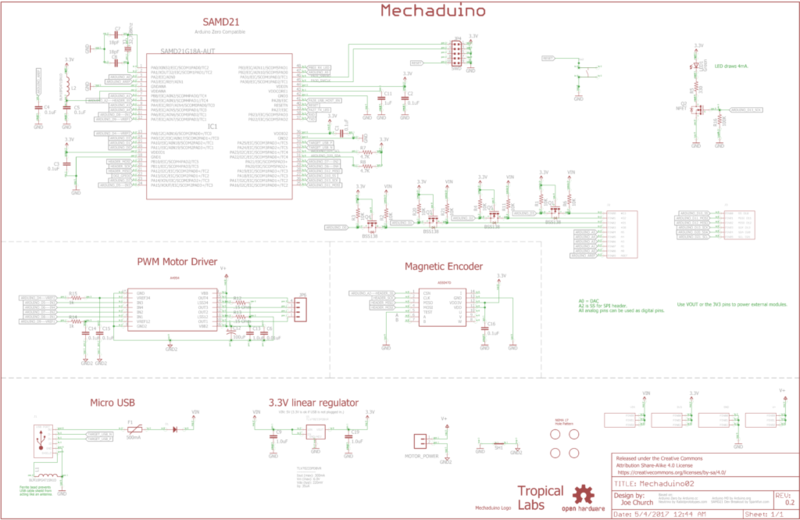 Mechaduino is Arduino-compatible for ease of use. Engineers use servo motors to achieve the precision motion required in applications such as robotics, automation, and CNC manufacturing. 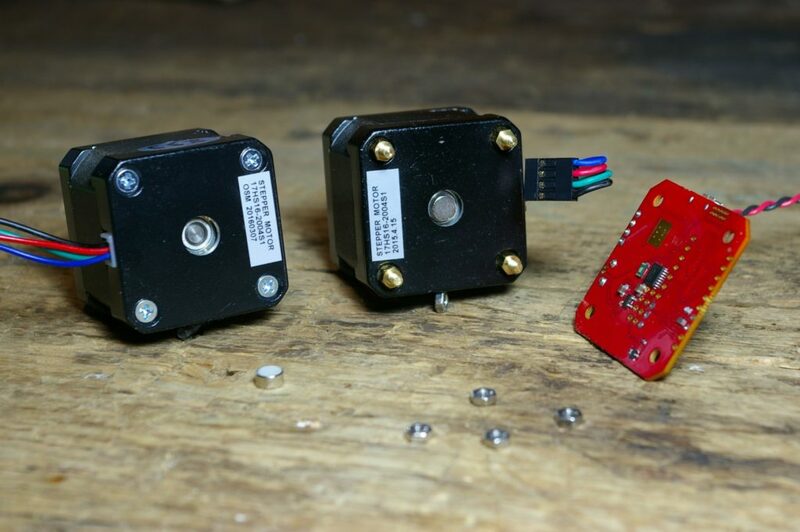 Like RC servos, industrial servos actively correct for external disturbances. Unlike RC servos, industrial servos can provide very accurate motion, and often support advanced motion control modes. Unfortunately the cost of industrial servos is prohibitive to the individual maker. 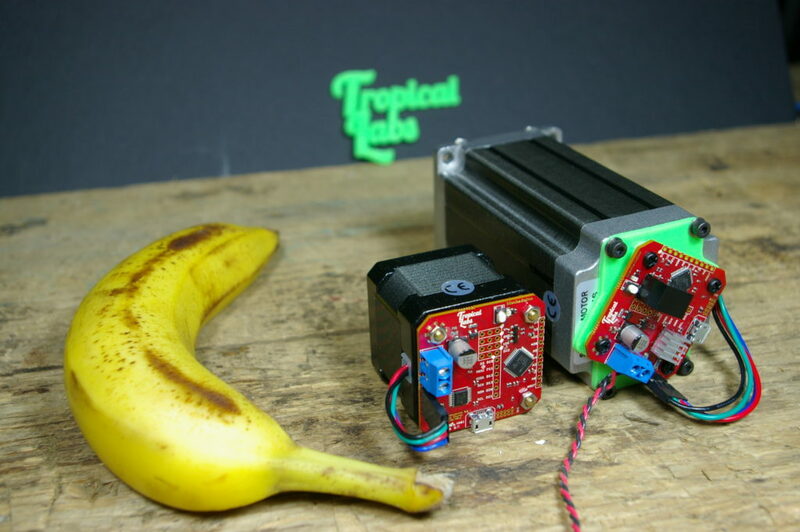 Tropical Labs engineers have been developing an affordable open-source servo motor, opening the door to sophisticated mechatronics applications. 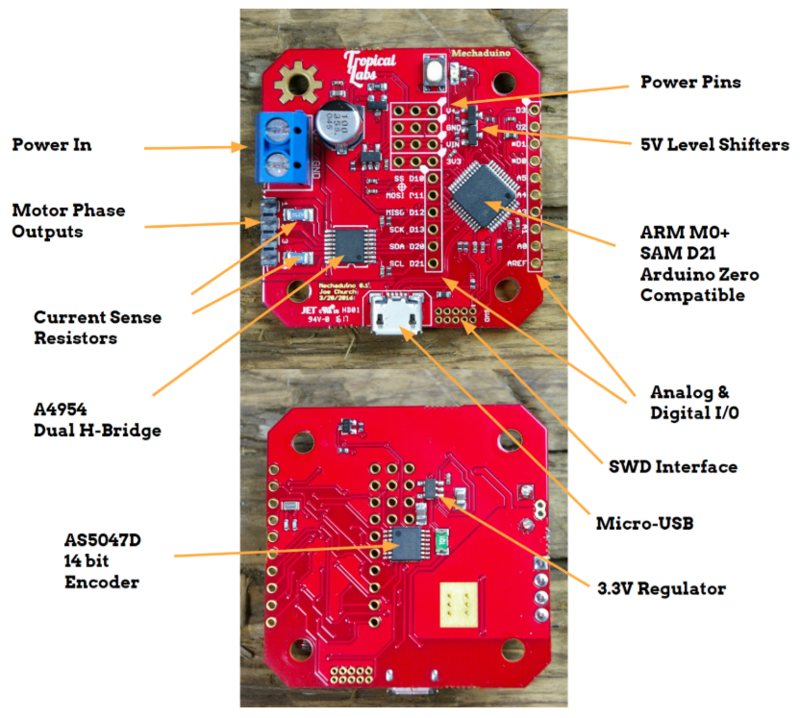 Our design leverages the low cost of mass produced stepper motors. We are able to achieve very high resolution via 14b encoder feedback (after calibration routine!). 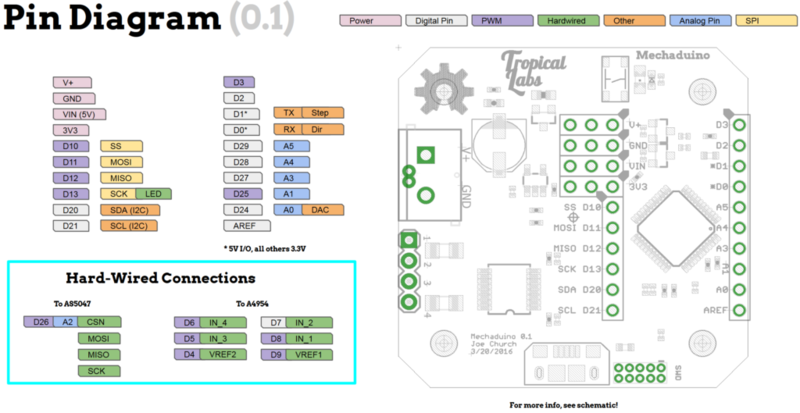 Board Diagram: Mechaduino 0.1 version 0.2 is similar. 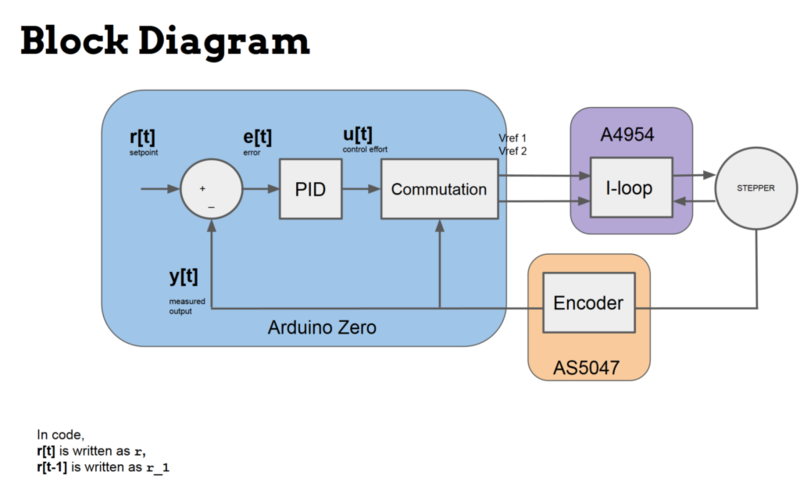 Pin Diagram: Mechaduino 0.1 shown, version 0.2 has four 5V I/O : D0,D1,D2,& D3.